What is click for surveys? 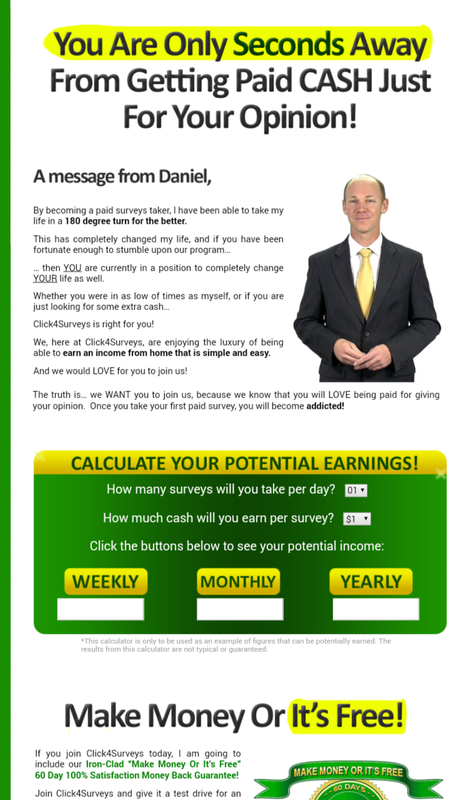 Click for survey (click 4 survey) is an online business that promises to help members make between $500 – $3500 a month just by taking paid surveys. This program is promoted by a certain Daniel Cooper who claims that he turned his life around just by taking paid surveys. This program can be found at survey4cash.com and it cost $97 to join. According to Daniel Cooper, there are so many companies that are will to pay you between $5-$75 to take surveys for them. He claims to have information you need to find these companies. He is so sure you will make money with his program and promises to refund your money if you don’t like the program and do not make any money from it. He encourages people to join especially as he claims he has dropped the membership price by 65%. I will not hesitate to tell you right away that this program is probably a scam. First, the picture of the guy who is supposed to be Mr. Daniel Cooper is a stock photo that I have come across in several scam sites before. Second, all legitimate survey sites I have ever joined do not ask you to pay to join. It is always free to join a survey site. These survey sites work by referring you to answer surveys from several market research companies. Market research companies use the results of surveys to configure their products and services to suit the needs of the population. It is possible to make up to $500 a month on Survey sites but it is hard; let alone making $3500 or more. 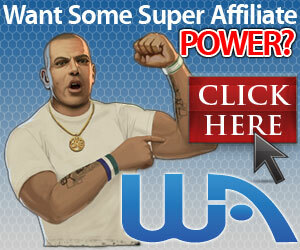 One of the most lucrative survey clubs I have joined in the pass is Swagbucks. If surveys is what you want, try them, it’s free. Like I mentioned earlier, you will only make some change taking surveys. If you want to increase your pay when taking surveys, you can cut out the middleman (survey clubs) and try taking paid surveys directly from market research company sites. Either way, the money you make will be able to get you some gift cards but nothing more. The thought of survey companies paying $75 for a survey is outrageous. You can spend hours a day taking surveys from the top paying companies only to end up with few dollars. Typical surveys take 20 to 30 minutes to complete and pay between $1 to $5. Surveys are limited in number such that you could only get a few surveys a day. In order to get more surveys, you need to join many survey sites. This is time consuming. You also have to qualify for each survey depending on your membership information. Cash4survey is a middleman that will link you up to take surveys but they shouldn’t require you to pay. On occasion, you will have to pay to take part in certain product trial. The fee is usually minimal. If you are looking for a place to make a few dollars here and there by taking surveys, try survey club or swagbucks. They are both free. If you are looking for a place to learn others methods of making money online, try wealthy affiliate’s starter membership. It’s free to join and you will benefit from all the information.